But, I Do Have Some Good News For You! It really is possible for you to free yourself from the weight loss struggle without trying yet another gimmick… This book explains the way and how to get there. Those closest to you are affecting your weight. You are actually "programmed" for your expanded waistline. You unknowingly reinforce that "programming" ALL the time. To solve the mystery that keeps your weight right where it is. What would it be like for you if you finally understood how to get to your HEALTHIEST weight AND how to stay there without ANY diet craziness? I can share some of what you could expect... You would have more self confidence. You would enjoy having more energy. You would likely sleep better. You would be in a far better mood. You'd be able to keep up with your kids better. You would have a much brighter outlook on life. It's probably not a stretch to say that you'd be happier and experience more joy in your life. Let me be perfectly clear here, I am NOT hawking some magic pill. If there was one, I'd give it to you. But one doesn't exist. I say that you can expect those things based on REAL results from the thousands of REAL people I've worked with. Like you, I'm well over the health and fitness industry promising miracles and delivering madness. "Lose 20 pounds in 20 days,” “Guaranteed 6-pack in 6 weeks,” and “Drop three dress sizes in 4 weeks!” These are just some of the sneaky slogans that ruthless marketing teams create to get you to hand over your money to the companies they represent. Sometimes the only weight you'll lose is the weight of your money. Honestly though, sometimes you will see your weight going down while you are doing their program or eating their food but there's still a problem. It's not sustainable for you. When you stop paying them, you are back where you began. There's something missing. A Missing Piece That's Now Revealed! You need to know more than WHAT to do. You need to also know HOW to do it and WHY it works. You need to understand HOW and WHY you got here in the first place so you don't rerun the patterns over and over again.You must get to the bottom of what causes you to be vulnerable and at risk for jeopardizing your health. What triggers you into throwing all care to the wind and giving up? You need real education on how to master managing your weight so you aren't finding yourself starting over and over and OVER again. The stress caused by not knowing - not feeling empowered with your own body - is actually a HUGE part of the problem. So let's fix that! Here's the absolute truth... 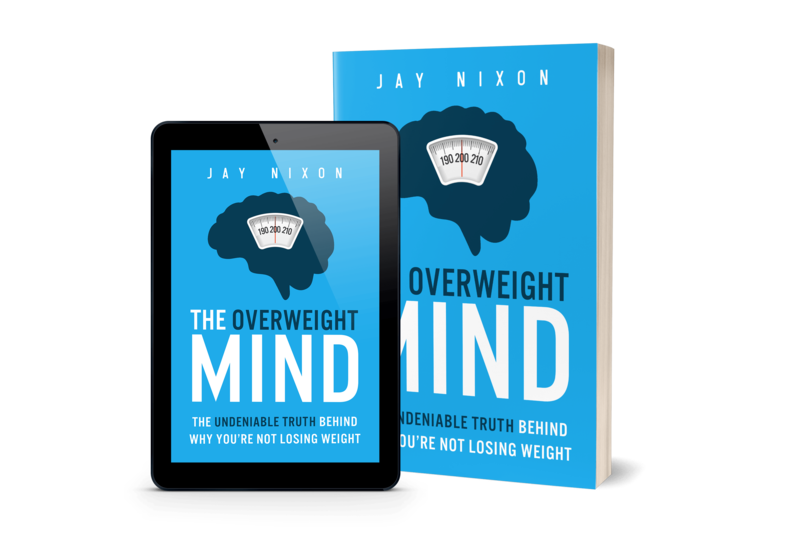 The biggest mistake made in the pursuit of better health - including lasting weight loss - is not using your mind to your advantage. Your mind has far more to do with your weight and your efforts to manage your weight than anything you eat. That’s exactly what this book will help you understand. Your biggest obstacle to having the healthy body you want. The most destructive duo that can cause obesity in most any body. The most powerful and empowering action steps you can take toward better health. How simply eating less and exercising more aren't the Holy Grail. What causes the relentless yo-yo cycle that stands lurking over your shoulder. Jay Nixon – A highly sought after celebrity nutritionist and fitness expert, Jay Nixon is the owner of Thrive Fitness Studio in Palm Desert, California, and creator of Come Alive & Thrive: 6 Weeks to Forever Fit, a lifestyle program helping women and men around the world burn body fat, increase energy levels and find their forever fit. For over two decades, Jay has helped 1000s of people achieve total body transformation through personal training and nutritional counseling. His work is based solely on the premise that if you give someone the right tools, education and support they can far surpass what they once thought was their maximum potential. He’s known for his innate ability to get inside someone’s head and help them achieve life-changing results. 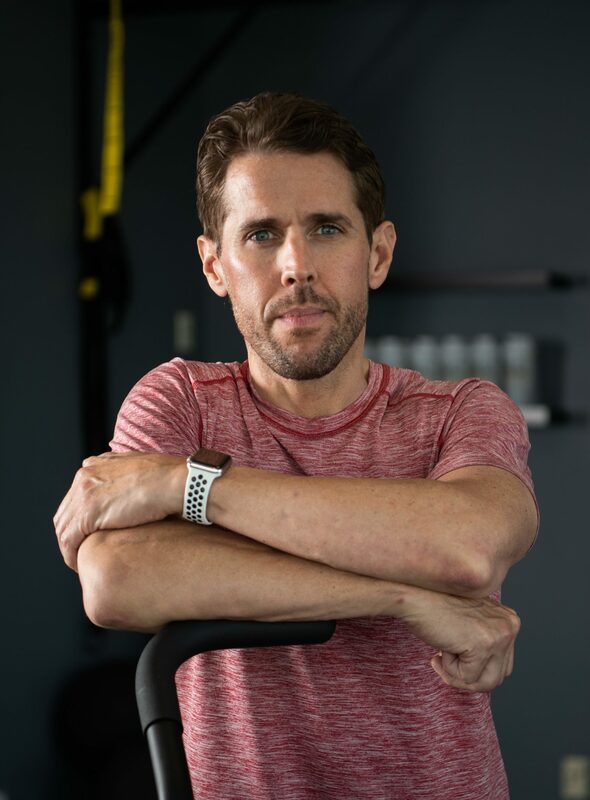 Dubbed ‘One of the best fitness and nutrition experts in the business’ by CBS News, Jay has also been featured on ABC and FOX and in Triathlete and Desert Health Magazine. He is the creator of the Thrive Tribe and proprietor of the robust and highly effective ’Thrive Detox’ supplement. When he’s not working with clients one-on-one, you’ll find him consulting for Fortune 1000 companies in the nutrition and fitness industry. Jay has been a Certified Personal Trainer and Certified Nutrition Specialist for over 23 years..